The St. Mary’s Seminary, the first Roman Catholic seminary in the United States, was established on this site by members of the order of St. Sulpice, who were forced to relocate following the French Revolution. The seminary’s Neo-Gothic chapel, designed by Maximilian Godefroy, was completed in 1808 and was the first church of its style built in the United States. 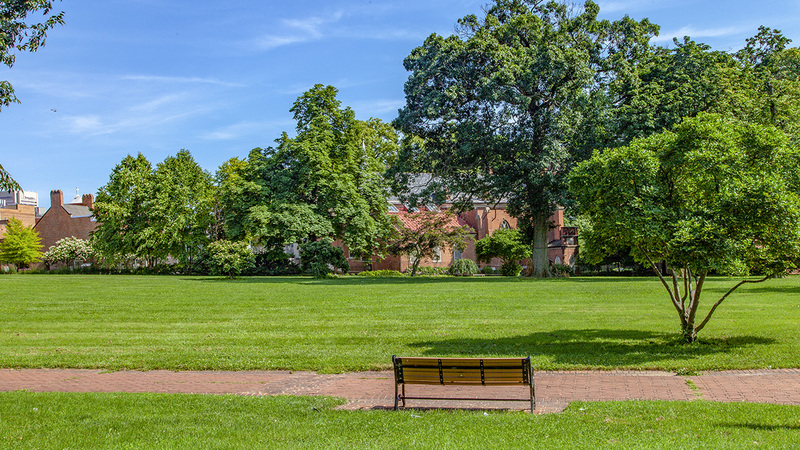 The seminary site is closely associated with Saint Elizabeth Ann Seton, the first native-born American saint, who took her vows in the chapel in 1809. The Oblate Sisters of Providence, the first religious community of African American women in the country, provided parochial education to black children in the chapel’s basement. 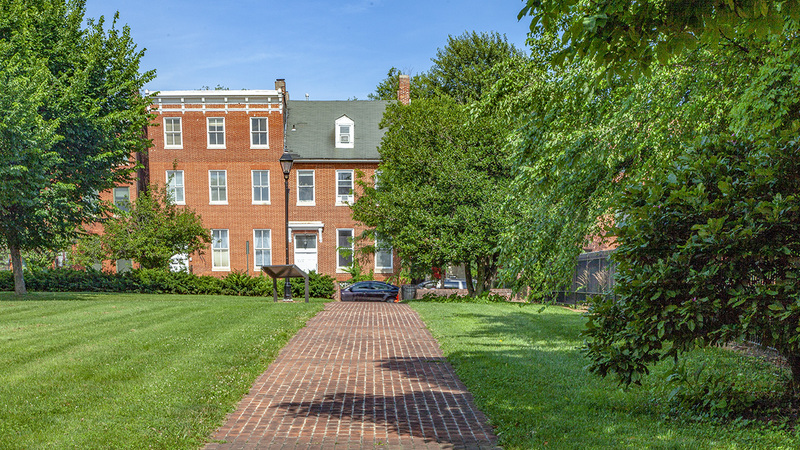 In addition to its religious role, the seminary operated St. Mary’s College from 1803 until 1852, providing a secular education for many of Baltimore’s prominent residents. The Seton Hill neighborhood, which surrounds the site, developed in the early nineteenth century; early inhabitants were primarily French-speaking refugees and university students. The seminary eventually relocated to its Roland Park location, closing the original campus in 1969. 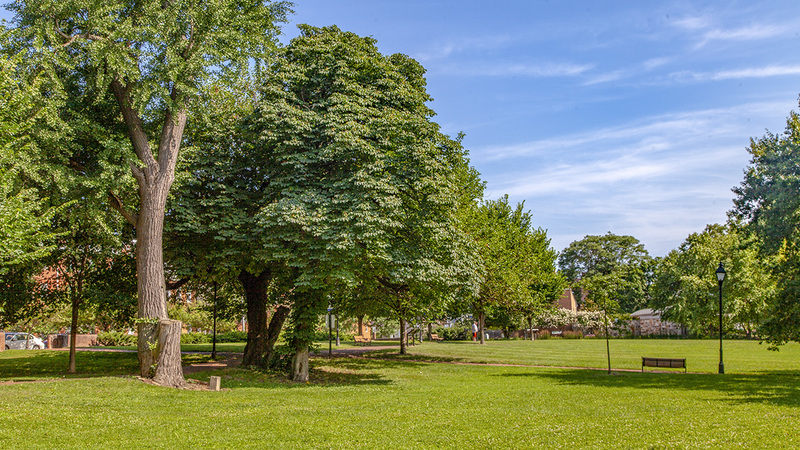 The 6.5-acre triangular site was transferred to the City of Baltimore in 1974 and renamed St. Mary’s Park. 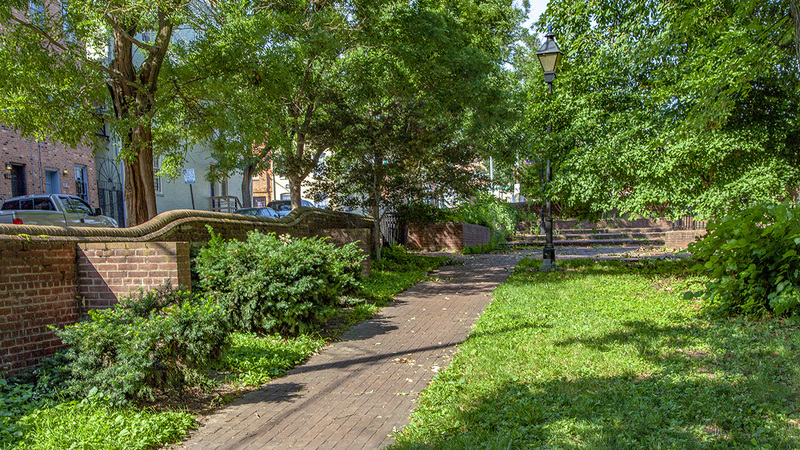 The park slopes gradually down from its northern apex and is bounded on three sides by a capped brick wall perforated with entrances along St. Mary’s and North Paca Streets; while enclosing the grounds, the wall affords open views into the park along its primary frontage. 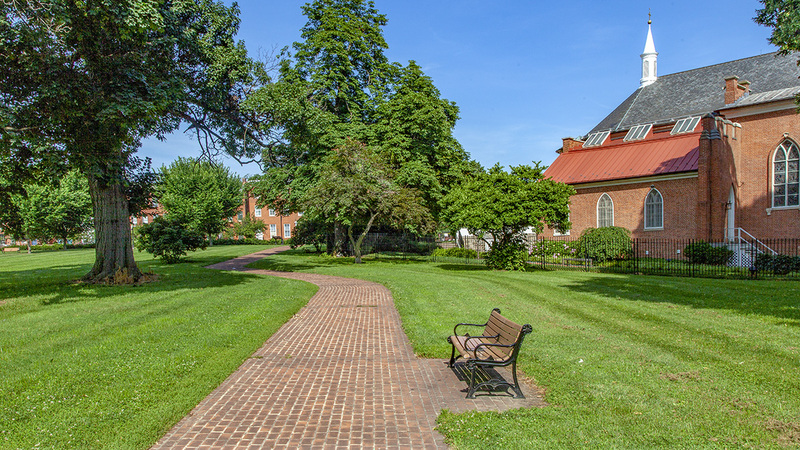 The large area to the north of the historic chapel, which was the location of the main seminary building until 1975, is now gently sloping lawn split by rectilinear brick pathways. 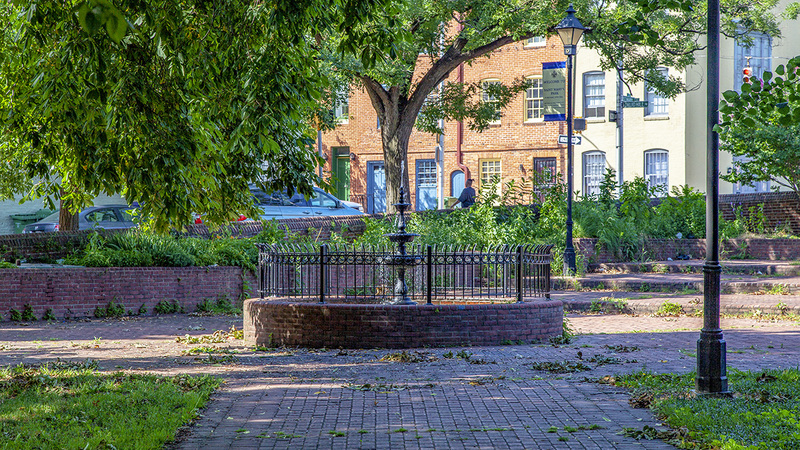 Canopy trees and other understory plantings are scattered throughout the expanse of parkland, terminating at a stepped- brick plaza at the northernmost tip, which includes a cast-iron fountain. 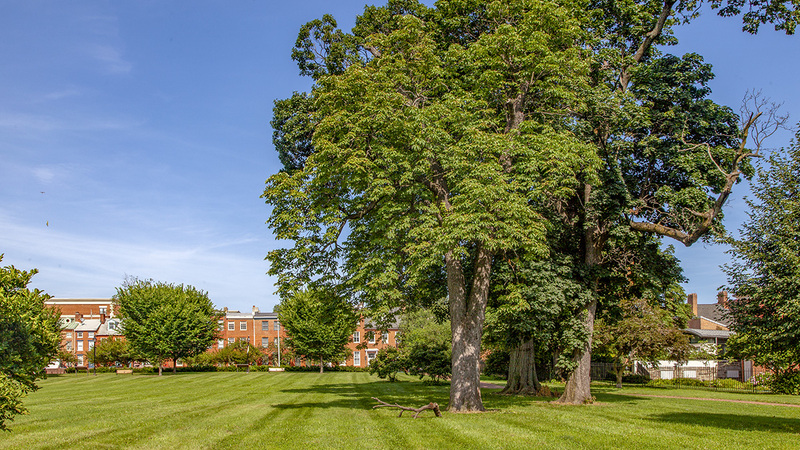 The southern portion of the grounds, which wraps around to the west and south of the chapel and its courtyard, is heavily shaded by mature trees. 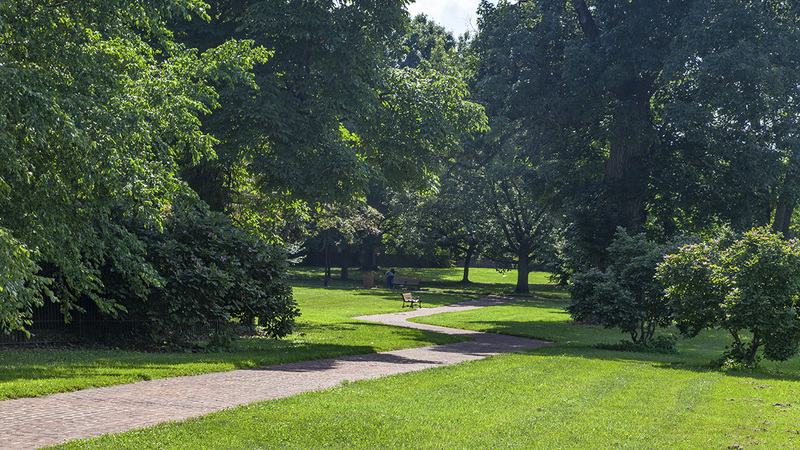 St. Mary’s Park is the centerpiece of the Seton Hill Historic District, which was listed in the National Register of Historic Places in 1975.